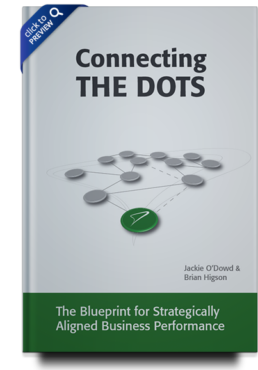 Are you using traditional tools to model and redesign your business but not getting the level of business buy-in you need? Are you having to contend with disparate sources of information, a high management and maintenance effort and disengaged stakeholders? From business leaders to enterprise architects, business analysts, consultants and front-line staff, the realising success platform supports all of the roles involved and engaged in business architecture, optimisation and transformation. 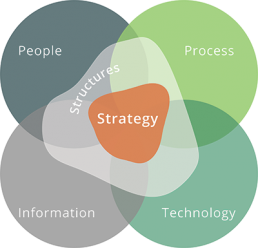 Business leaders are supported in defining and executing the strategy and targeted outcomes whilst analysts, architects and consultants have a shared modelling workspace that ensures standardisation and collaboration and that gets results fast. Before you start any business improvement, transformation or architecture project you need to understand what you currently have, where it is, what it costs and any gaps, weaknesses or opportunities. 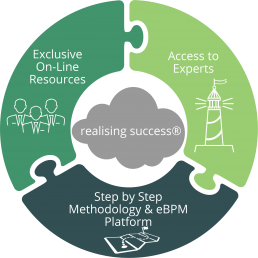 The realising success platform provides a complete 4 step comprehensive business architecture framework to follow, comprising step by step guides, models, diagrams, templates and checklists. 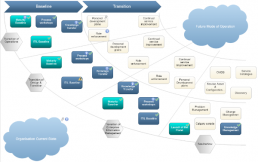 All powered by a Gartner® rated cloud eBPMS platform. You have the capability to understand your current state, design the future state, implement the change with confidence and optimise the business so you can deliver your required business outcomes. 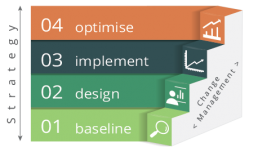 Once you start using it, you will have clarity on the areas of your business that can be improved and have the capability to design and implement the change. The more you use it the more valuable it becomes. The realising success® platform lets you understand your current state and experiment with change before you make it, helping you to determine the best way forward and preventing costly mistakes. You get understanding and insight from one solution. 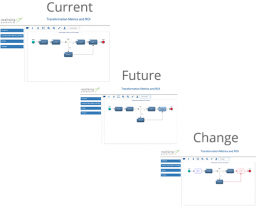 Your current and future state processes can be modelled so you can experiment and visualise what you have, where it is, who uses it, who is responsible and any associated costs and most importantly how you can do things better. The realising success® platform gives you the ability to see the impact of change over time. A great way to ensure the alignment of your projects and initiatives to your strategic objectives and goals. The realising success® platform lets you produce documentation at the click of a button in PDF, HTML, Word and Excel formats. Using traditional modelling it could take two days to produce documentation, now you can do it in less than two minutes. You also have complete version control and change audit logging. A cloud based shared modelling platform accessible from anywhere. 2 x roundtable sessions of 2 hours each at a pre-scheduled time to provide assistance and guidance on the problems you are aiming to solve using the framework. Access to experts that can support you in your project. Complete the form or call us to find out more or to schedule a demonstration. 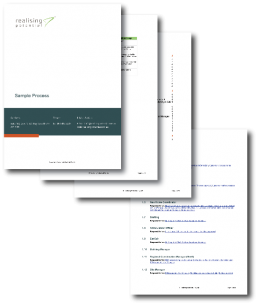 “Our business has grown and expanded and we needed to review our current development and software release processes and identify any changes needed. We used the realising success platform and engaged Realising Potential to help us. They are insightful, thorough, friendly and easy to work with. Their “no nonsense” approach is great and always delivers value for money spent. We had a great outcome”. “This project has certainly provided transparency to the operations covered, exposing idiosyncrasies and facilitating discussion, based on the known and ensuring subsequent communication and action. It has let to effective, efficient and economic output for the organisation. The Realising-Potential team were personable, knowledgeable and a pleasure for those involved to work with”. Bridge the gap between IT jargon and technical diagrams and put it into terms that enabled management to see the business value being delivered by IT. Provide a pathway for consolidating our disparate technologies into a focused set of tools that complement each other rather than overlap each other – thus reducing system noise and complexity. “What we appreciated most about working with Jackie and her team was their clear understanding of what we required, their ability to cut through the predictable politics of a corporate projects environment, engage in a positive manner with all stakeholders and achieve their buy-in process, all the while delivering the expected results”. “The realising-potential team enabled our people and organisation to do just that – realising our potential”. “I would not hesitate to recommend Realising-Potential in the future to clients that require independent advice and thought leadership around business transformation and project governance”.